MIDDLEBURG – Snyder County’s current Sheriff has announced his re-election bid. John Zechman, a Republican, tells WKOK, he’s seeking re-election for the four-year position. 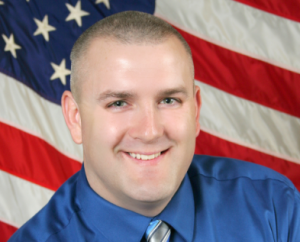 Zechman has been employed with the Snyder County Sheriff’s office since 2010, first as a Deputy Sheriff. He’s then served as Sheriff since January 2016. Zechman says he takes great pride in being “a working sheriff.” During his first term, Zechman’s accomplishments included establishing the first ever Snyder County Sheriff K-9 Unit and helping with the upgrade of courthouse security technology. He also expanded the Drug Take Back Program. Zechman is a strong support of the Second Amendment and a life member of the NRA. He’s also a member of the National Sheriffs’ Association and the PA Sheriff’s Association, where he’s been appointed to the legislative committee.